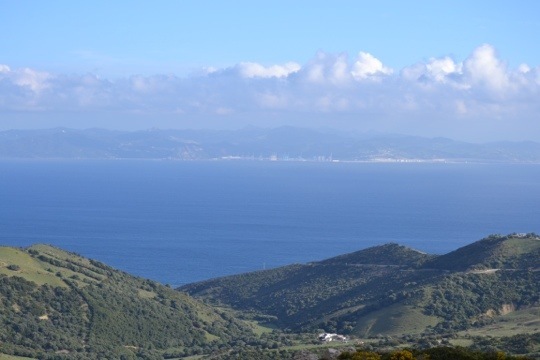 When we were near Tarifa in Spain, my wife got very excited by the fact she could see Africa – namely, Morocco. Perspective is a wonderful thing. It opens up vistas and horizons. We look beyond ourselves. We look with a framework, a plan or map and we see how various things, places and etc. fit together. It saddens me how many people I meet who have no perspective. They are focused on the here and now, in a very limited and temporal sense. When we looked across the straits, we got out a map (on the iPad) to make sure it was Africa we were peering at and not just across the bay to another part of Spain. We needed a sense of direction to give our perspective an anchor or starting point. My map, the anchor or starting point that enables me to have direction in my life is the Bible – the Word of God. Without it I would be stumbling in the dark in every facet of my life. It enables me to get a perspective on the past, present and future. The temporal and spiritual also also find their focus point in the Word of God. It never ceases to amaze and encourage me that people with this perspective seem able to withstand amazing tragedies and traumas in their lives. Their view of what life is, and means, is not tied to the moment, but to eternity and God.